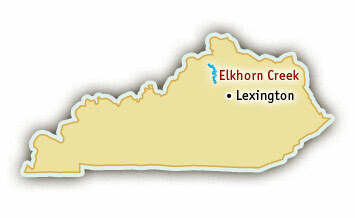 One mile shy of the official river classification length (100 miles), Elkhorn Creek, a tributary to the Kentucky River, is free-flowing, mellow, and scenic. 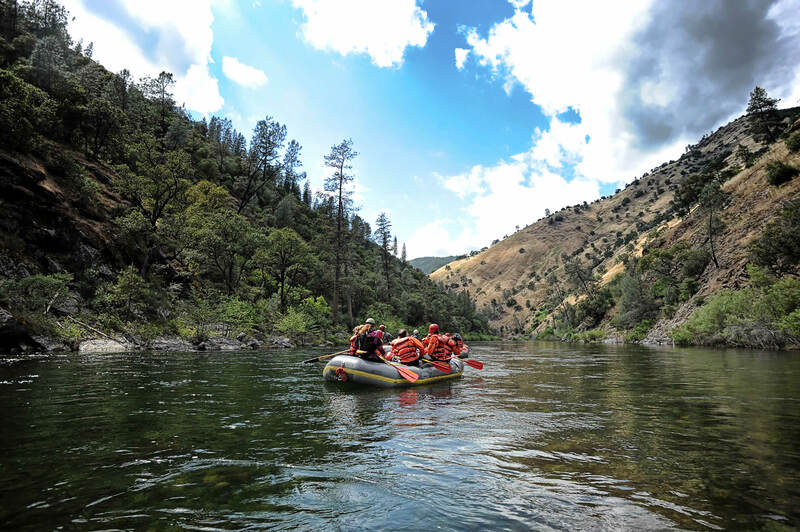 Elkhorn Creek rafting is offered on a few stretches ranging from Class I-III that are suitable for families and children. Limestone bluffs rise 200 feet along the river, making the river canyon feel secluded and remote. Whitetail Deer and Rio Grande Wild Turkeys roam the area and make any Elkhorn Creek rafting trip a great wildlife experience for kids. Rafting.com is currently seeking qualified outfitters for Featured Listings. If you are a local rafting outfitter in Kentucky and would like to see your company listed here, please contact us for more information. Since Elkhorn Creek is 99 miles long, there are numerous options for rafting trips, however the most popular trip is on the Class II-III Gorge section, just 45 minutes from Lexington, Kentucky. The Gorge section begins just below the Jim Beam Distillery Dam. Elkhorn Creek rafting trips on the Gorge are a great way for families and youth groups to spend the day learning how to paddle and get comfortable running whitewater rapids before moving on to more difficult runs. Bring fishing poles because there is outstanding small mouth bass fishing on Elkhorn Creek as well. Rafting trips on Elkhorn Creek are available during the spring and summer through Labor Day weekend.